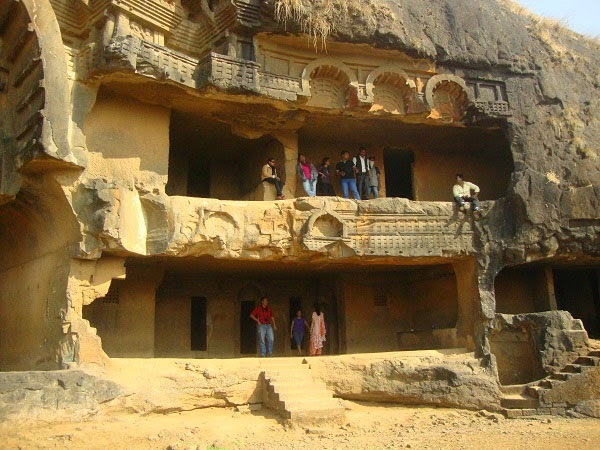 Bhaja caves also known as a Bhaje caves are located at Bhaje Village near Malavali station. You have to step up with small trek. It requires hardly 15-20 minutes to reach the top. It is worth to see the caves. It is a group of 22 caves dating back to the 2nd century BC. There are two road to reach Bhaja caves one is from old mumbai pune road and another one is from Lohagad fort and pawana dam. If you are coming from old mumbai pune road the take a left turn opposite to the Karla caves. 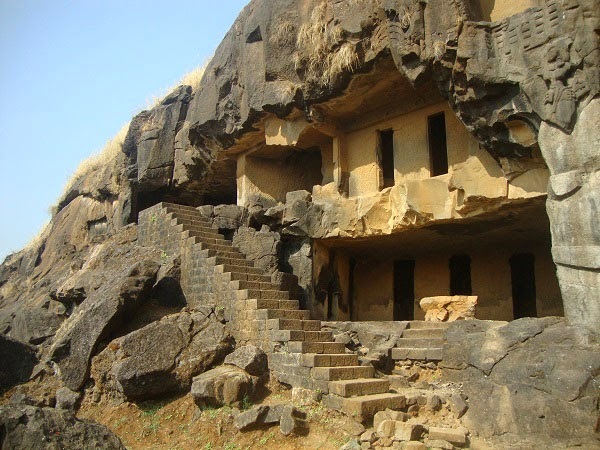 Means on the highway there are Karla caves of Ekvira Devi and right hand side and Bhaje caves at left hand side. If you are coming from Pawana dam side then after crossing the Lohagad boat club, Prati Pandharpur temple at Dudhiware Khind take a left turn towards Lohagad Fort. Then Cross the Navgrah temple, Lohagad fort base village then you will reach Bhaje village. It is around 60 km from pune. 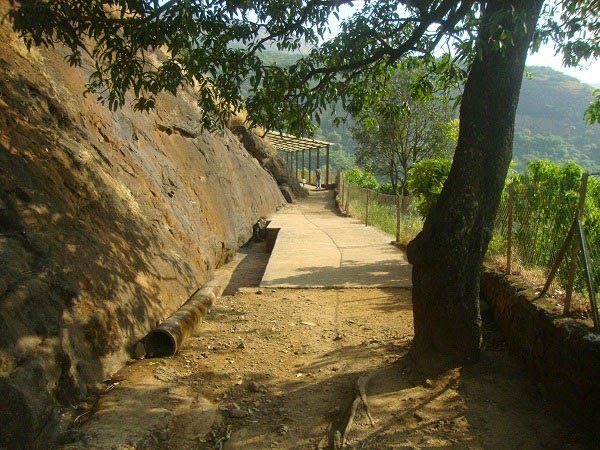 Many trekkers came from Malavali railway station with walking. During rainy season you can see two big water falls here. 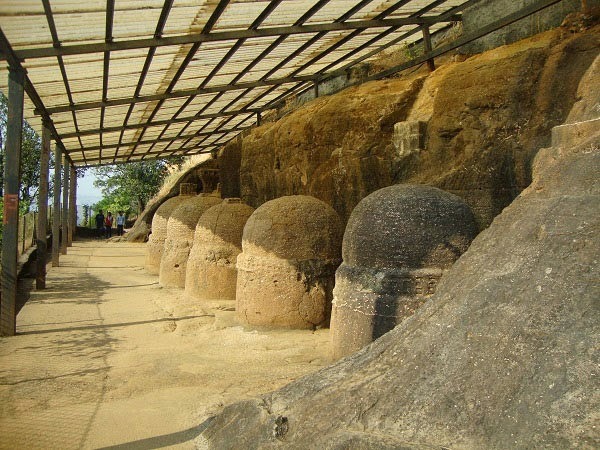 Main attraction at Bhaje caves is group of 14 Stupas, which I haven't seen any where. These Stupas where carves very carefully and two of them have relic boxes on the top. Main Chaityagraha is having Pillars carved in Rock and Buddha images without any mistake. You can see images carved on rock about 2000 years back Womens used to play " TABLA " and another women performing dance. Also caves shows Wooden Architecture work at the Caves. Top ceiling were made of wooden and it was 2000 years back. But, still see the quality of it with your eyes. Also most beautiful Forts are in front of the Caves. Lohagad fort and Visapur fort is visible from this Caves. Ticket for Indian is Rs. 5/- and for foreigners Rs. 100/-. Caves are open from 11 am to 5 pm.